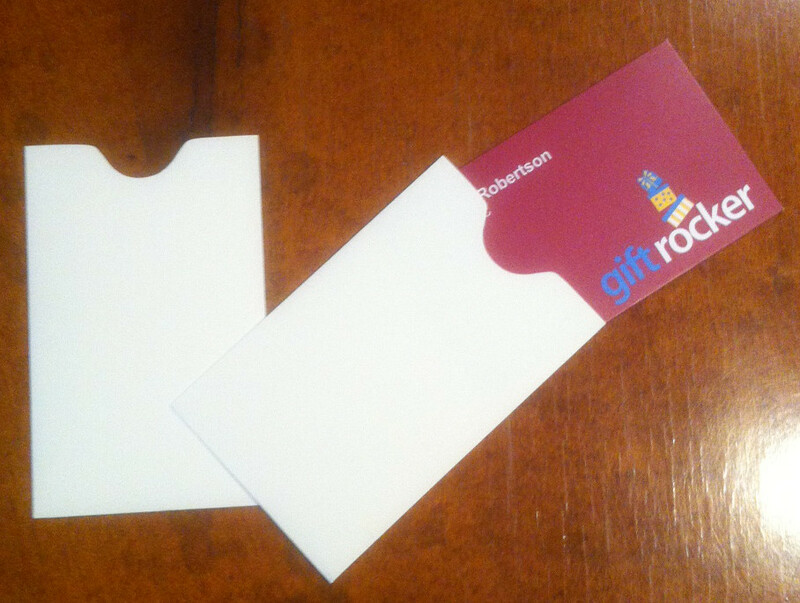 GiftRocker offers custom gift card holders and minimalist gift card sleeves. 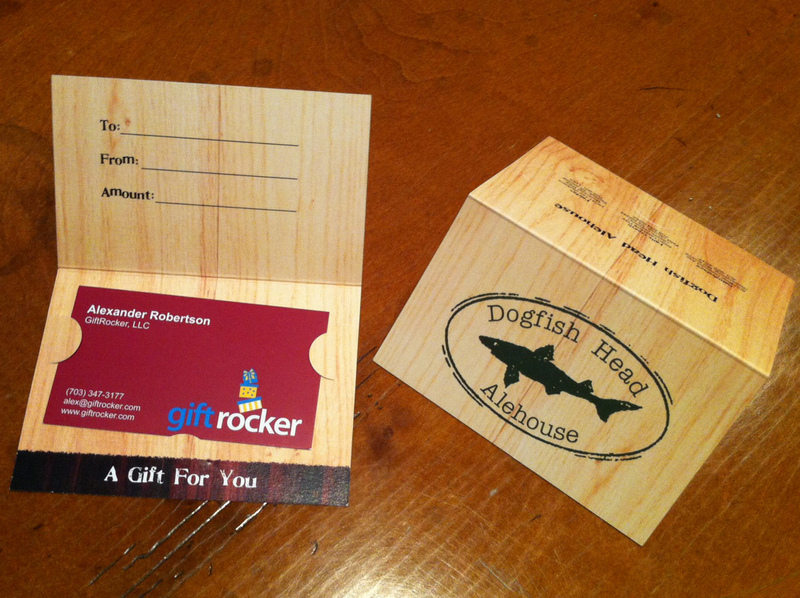 Custom gift card holders are produced at .40 each. Basic, neutral sleeves are offered at .10 each or can be purchased at the envelope mall. See below for examples. Contact your GiftRocker sales rep to order.